Finely A Mexican Restaurant Where The Food Doesn't Taste Like "TACO BELL"
Pensacola Discussion Forum » Food and Local Dining » Finely A Mexican Restaurant Where The Food Doesn't Taste Like "TACO BELL"
We've finely gotten a Mexican restaurant that tastes like genuine Mexican food prepared by people that know real Mexican food. That restaurant is the "BRACEROS GRILL" on Hwy.98 1/2 mile east of NAVAL HOSPITAL PENSACOLA and south of the highway. It's in the building that has a Japanese restaurant on the east end and"BRACEROS GRILL" is in the west end of the building. BTW,the prices are good also. Slicef18 wrote: We've finely gotten a Mexican restaurant that tastes like genuine Mexican food prepared by people that know real Mexican food. 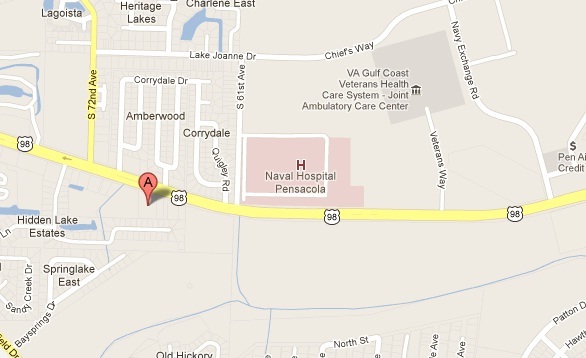 That restaurant is the "BRACEROS GRILL" on Hwy.98 1/2 mile east of NAVAL HOSPITAL PENSACOLA and south of the highway. It's in the building that has a Japanese restaurant on the east end and"BRACEROS GRILL" is in the west end of the building. BTW,the prices are good also. I certainly hope they have better food and service than they did when it was Tequila Mexico. My family and I ate they one time and the food was horrible and the service was next to non existent. Give me Cactus Flower, La Hacienda, Cazadores, Casa Ole or even Monterrey's any day. I ate once at Tequila Mexico and never went back. Of the five mexican restaurants I believe I'd have to say Cactus Flower would be my favorite followed by Cazadores here at Lilliaan Hwy & Fairfield. I thought the Cazadores in Fairhope was lacking. Taco bell for me. They don't hire wetbacks. I have been a fan of Monterrey's Mexican Grill on Mobile Highway for years. They are on my side of town, too. I have never tried Cazadores. Isn't it west of the Navy hospital? Actually it's about 1/2 mile East of Navy Hospital and across the highway. Slice, my friend, I believe you may have your directions backward . East of NHP across the highway is nothing but vacant land and PSC Warrington Campus. The Braceros Grill is west of NHP co-located in the same building with a Chinese/Japanese eatery. So as Lurch and I said, it is west of NHP. I've been there a few times and know that area well. Ooooh, mama! I haven't lived in Milton/Pcola for several years not, but I STILL miss the Cactus Flower. We have several DECENT Mexican restaurants up here... two that rise far above the rest, but for really excellent Mexican food we have to drive all the way to Bakersfield (which is quite a haul). The very best Mexican places down there are in the absolute worst parts of town, but I don't care so long as I'm getting a great meal. Same goes for the best Basque restaurants in Bakersfield... all in the ghetto, which I would gladly brave any day just for a set-up, not to mention a fresh lamb chop, with a starter of tongue. Yummy! "Same goes for the best Basque restaurants in Bakersfield... all in the ghetto, which I would gladly brave any day just for a set-up, not to mention a fresh lamb chop, with a starter of tongue." Lamb and tongue!! Now you're talk'n food!!! 14 Re: Finely A Mexican Restaurant Where The Food Doesn't Taste Like "TACO BELL"